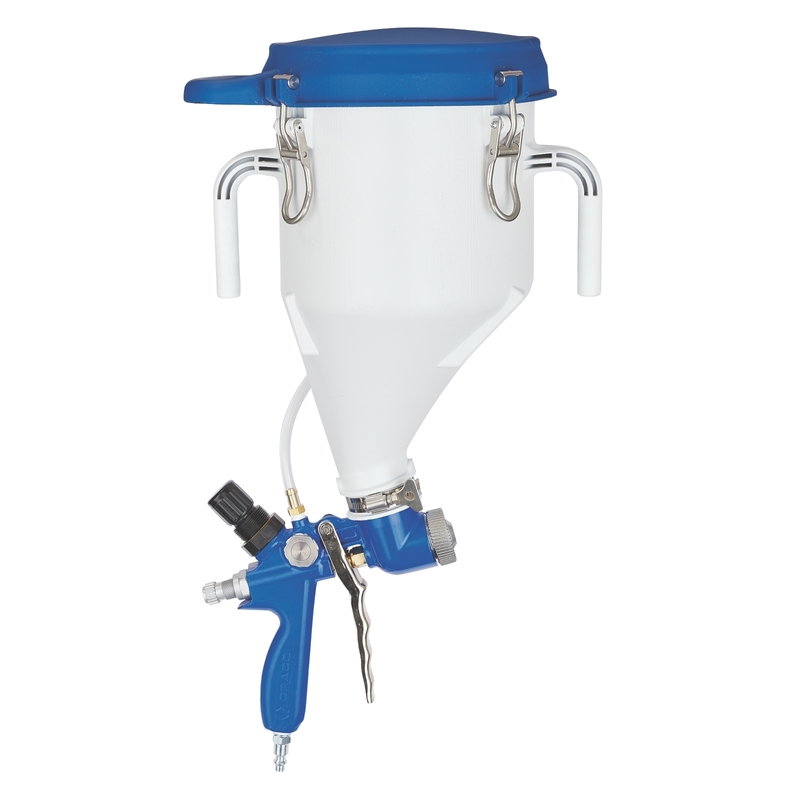 The Graco FastFinish hopper gun is compact, portable, and pressurised giving continuous-flow. Cut down on time and energy spent. Finish up to 6x faster thanks to pressure boost technology. Finish 6x faster with pressure boost technology – Innovative system uses air o boost performance and deliver a superior finish. Benefit from the power of a large spray rig in the palm of your hand. Finish fast with less fatigue – FastFinish delivers a professional finish at high speed, dramatically reducing the time required to hold a full 10kg hopper overhead!